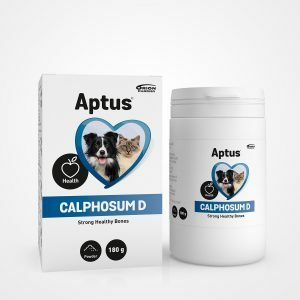 Artificial tears developed for dogs, cats and horses for long-lasting lubrication. The cross-linked hyaluronic acid builds an invisible matrix that allows the drop to stay in contact with the eye for an extended period of time. Antibiotic, steroid, and preservative free. 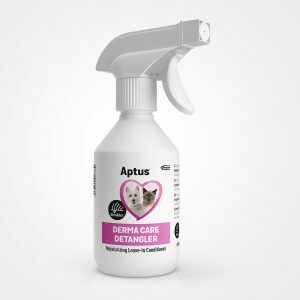 Eye drops for dogs, cats, and horses. Use to hydrate and lubricate your pet’s eye(s). Use gloves to assure cleanliness. The product does not contain preservatives. Place 1-2 drops onto eye. To avoid contamination, do not touch the tip of the container to any surface. Place 1-2 drops 2-4 times daily directly onto eye. The natural movement of the eyelid will distribute the drop evenly over the surface of the eye. Hyasent-S, Sodium chloride, Disodium phosphate, Potassium chloride, Potassium phosphate. 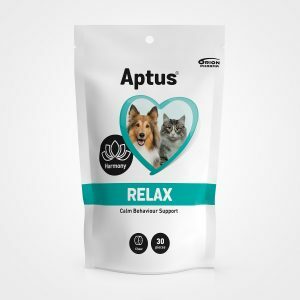 Aptus SentrX Eye Drops for dogs, cats, and horses are especially formulated for the needs of sensitive animal eyes. With crosslinked hyaluronic acid the drops provide long- lasting hydration and lubrication to the eye. Hyaluronic acid is a naturally occurring biopolymer that is found in most connective tissues and is particularly concentrated in eye fluids. The crosslinking in Aptus Eye Drops builds an invisible matrix that allows the drop to stay in contact with the eye for an extended period of time. Aptus SentrX Eye Drops do not contain preservatives. To avoid contamination, be careful not to touch the tip.